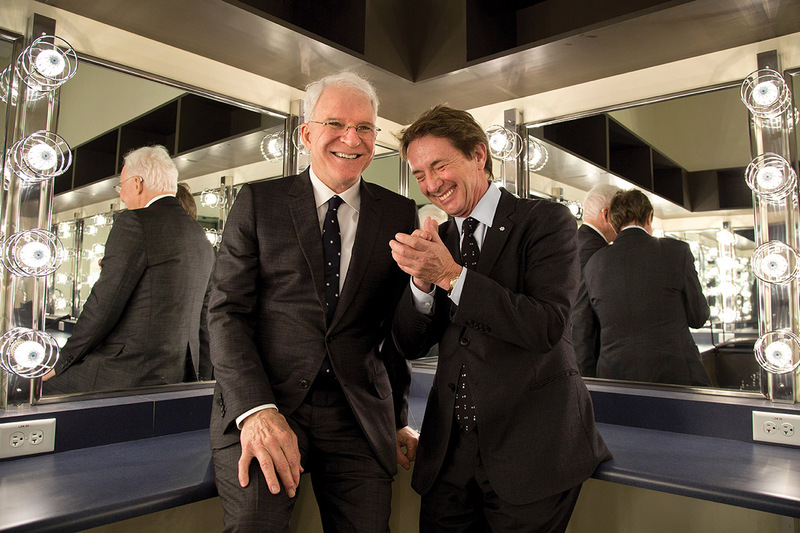 Steve Martin and Martin Short: On Their Friendship and Upcoming Performance in O.C. Steve Martin and Martin Short are friends onstage and in real life. You probably know a lot about comedian Steve Martin since he grew up in Garden Grove and famously got his start in show business performing as a teen at Disneyland and Knott’s Berry Farm. But what about his fellow comedian Martin Short, who grew up equally showbiz-crazed in Ontario, Canada? In time for their joint appearance July 20 at Pacific Amphitheatre, here are a few things to know about the funnymen and their friendship. Short and Martin first met face to face in 1985 during the planning stages of “¡Three Amigos!” Short arrived at Martin’s home in Beverly Hills, took in a Picasso and other masterpieces on the walls, and blurted out, “How did you get that rich? Because I’ve seen your work.” Martin cracked up. Martin, Short, Tom Hanks, and a film-producer friend get together every couple of years for a “colonoscopy sleepover.” The night before the procedures, they meet at Martin’s house, power down the prescribed purge solution, break out the cards, and spend the night playing poker. The OC Fair gig is a stop on the comics’ national tour, “Steve Martin & Martin Short: An Evening You Will Forget for the Rest of Your Lives,” featuring comedy routines, banter about their careers, and music by Martin’s bluegrass band, the Steep Canyon Rangers, as well as jazz pianist and “Jimmy Kimmel Live!” band member Jeff Babko. A performance was filmed in February for their Netflix special. “Now we’re like Chris Rock and Dave Chappelle except for the pay!” Martin tweeted.